It's already the second week of september and seems like everybody is saying goodbye to summer and the vacations...oh boy! How time flies! Feels like it was yesterday when I was making plans for the holidays and writting and endless list of things to do and new recipes to try during summer and, all of a sudden, my birthday is approaching (*insert dramatic-apocalyptic music*) and pumpkin season is right around the corner. Actually these days I've seen several food websites and blogs where they are already talking about Halloween, pumpkin pies and all-autumn things. Summer isn't officially over and it's still (super) humid and hot here in Barcelona. Thinking about coats, rain boots and chicken soup are the last things on my mind. 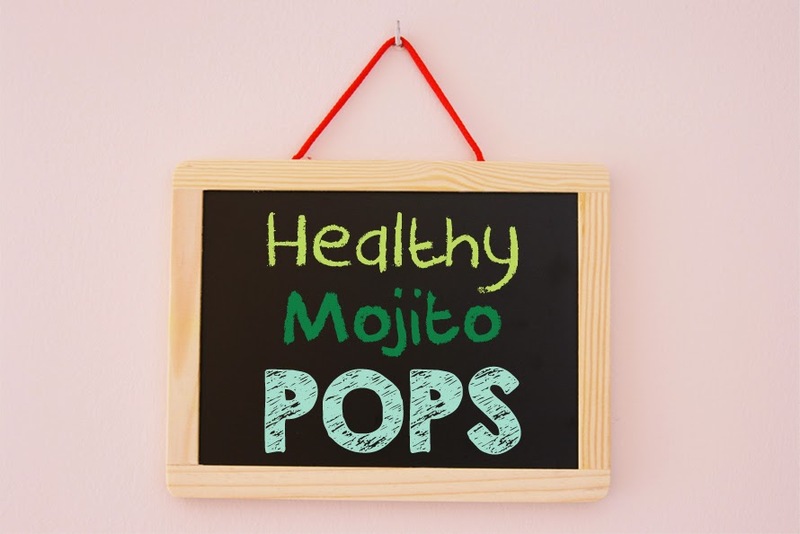 We're still in time to enjoy refreshing, sweet and yummy frozen desserts because summer ain't over, because these pops are healthy and because...Mojito! 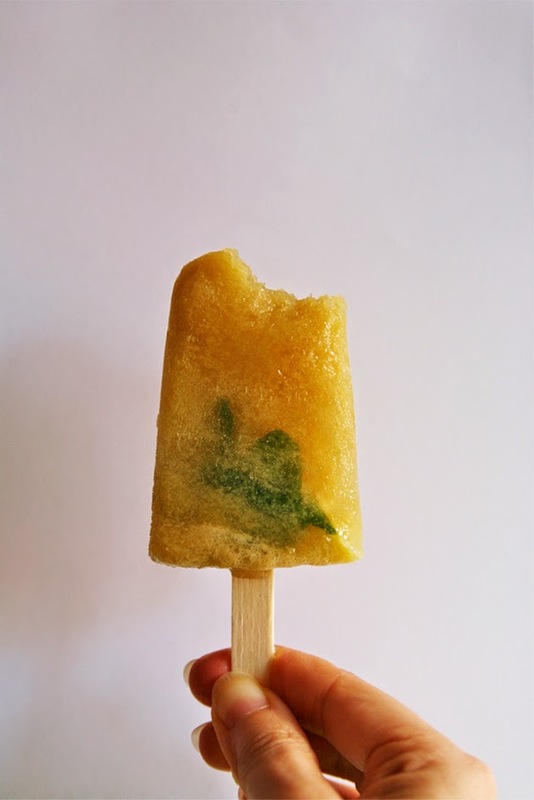 My Healthy Mojito Pops are the frozen version of Jason Vale's (aka The Juice Master) Healthy Mojito Juice: it tastes literally like a mojito minus all the sugar and the alcohol, so delicious! I was so amazed after the first taste, you can really enjoy this classic cocktail with zero guilt. I'm now a declared fan of Jason Vale's juices, they are all amazing and super delicious. I'd have never thought that celery, beetroot, spinachs and any veggie your mind can imagine could make such a perfect team with fruits! Now let's seize the last days of summer! 4 handfuls fresh mint leaves*. 8 handfuls green seedless grapes. 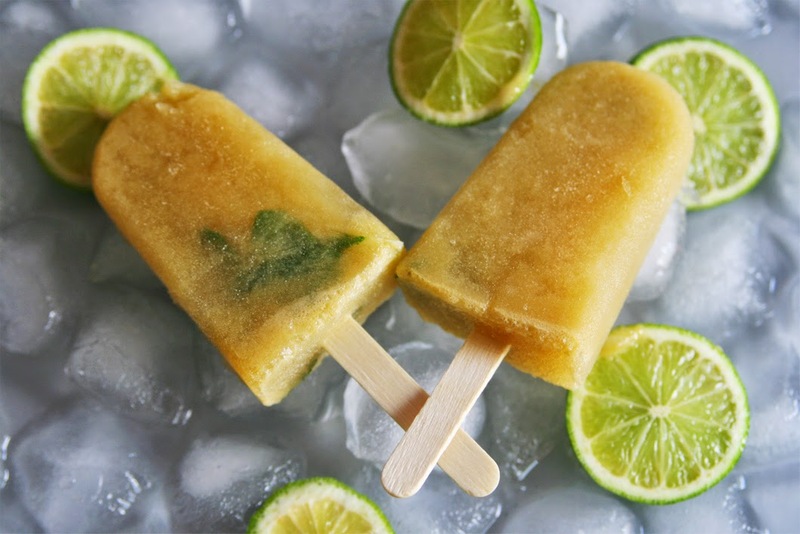 *Reserve a few mint leaves to decorate each pop. Put grapes, lime and mint leaves into your juicer. Juice everything together. 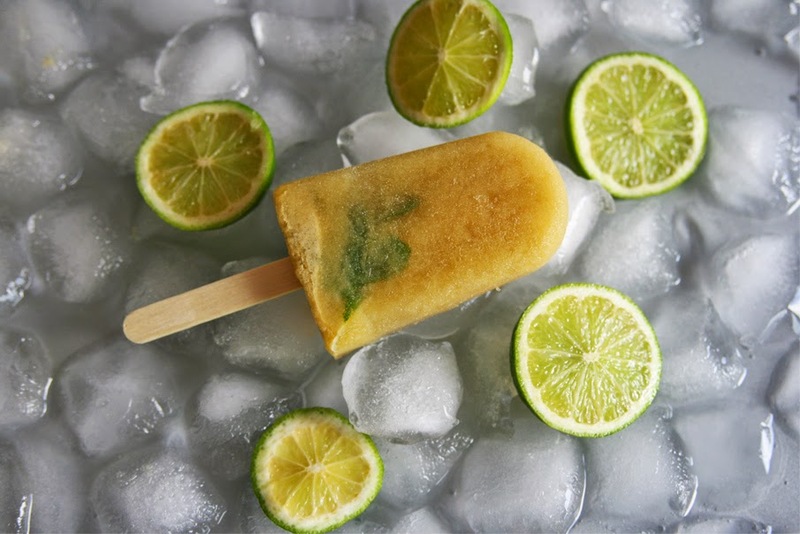 Pour the mixture into your popsicle molds and alternate with some thin lime slices and a few fresh mint leaves. 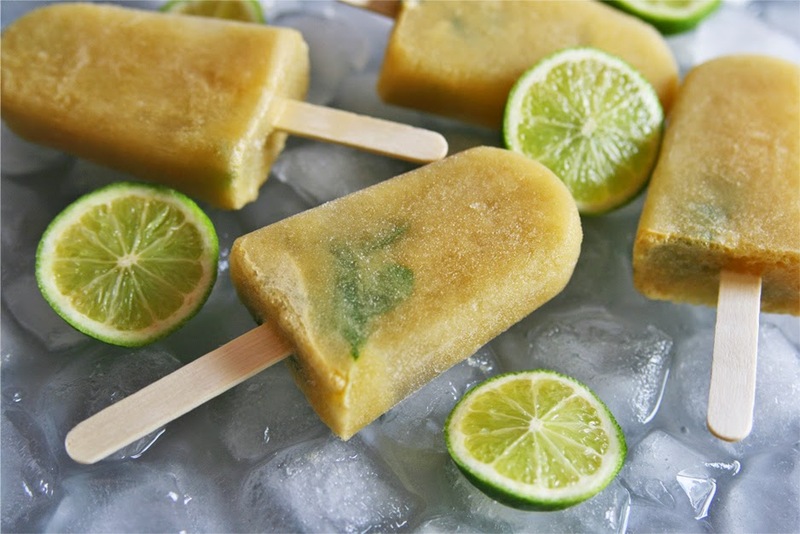 Freeze and insert wooden pop sticks 30-40 minutes approximately after they have been transferred into the freezer. 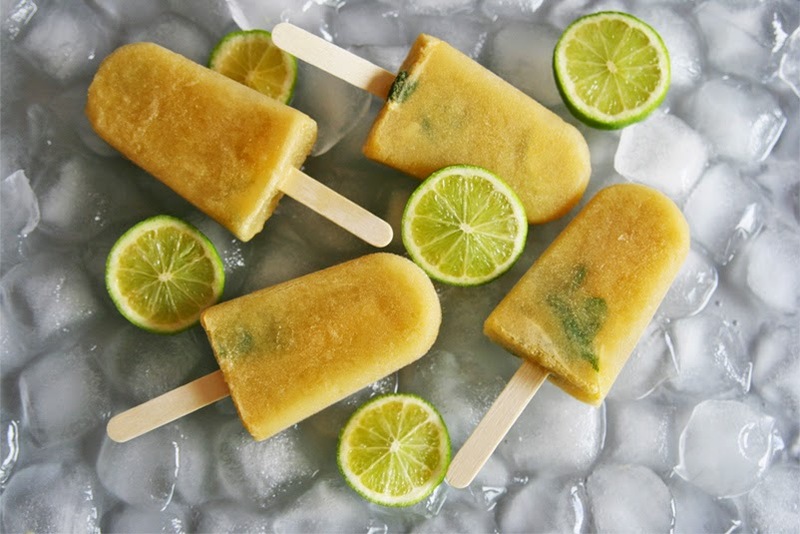 Depending on the size of your popsicle mold you will get more or less pops. Do not forget to cover them with tin foil paper and keep them away from food with strong odor. Que bien, aun estoy a tiempo, tenemos un calor impresionante y apetecen un montón estos polos, que buenos y que originales. Chulísimo. Un besazo. Gracias por tu comentario Ana! Me hace tanta ilusión que alguien con un blog como el tuyo visite el mío. :-) Es todo un honor. Ya me contarás si te han gustado estos polos...y si no tienes ganas de esperar a que se congelen siempre puedes hacer la versión original que es un zumo. I'm with you Hannah! I love summer so much it's such a tragedy when I see days become shorter and the leaves start to fall...hehe. Owell, luckily we're still in time to enjoy some pops! 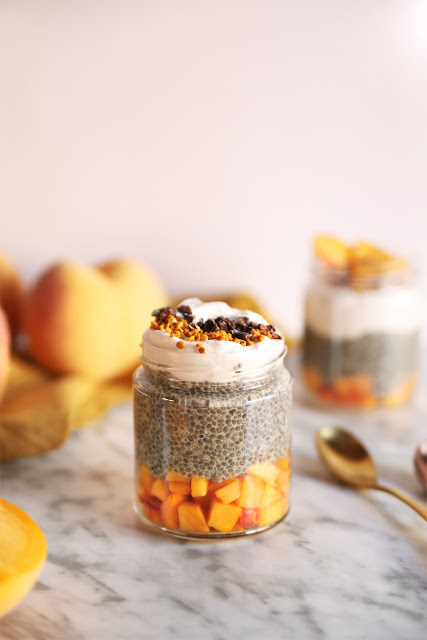 Hope you like them if you give this recipe a try!